OLD PARKED CARS. : 1978 Alfa Romeo Alfetta GT. 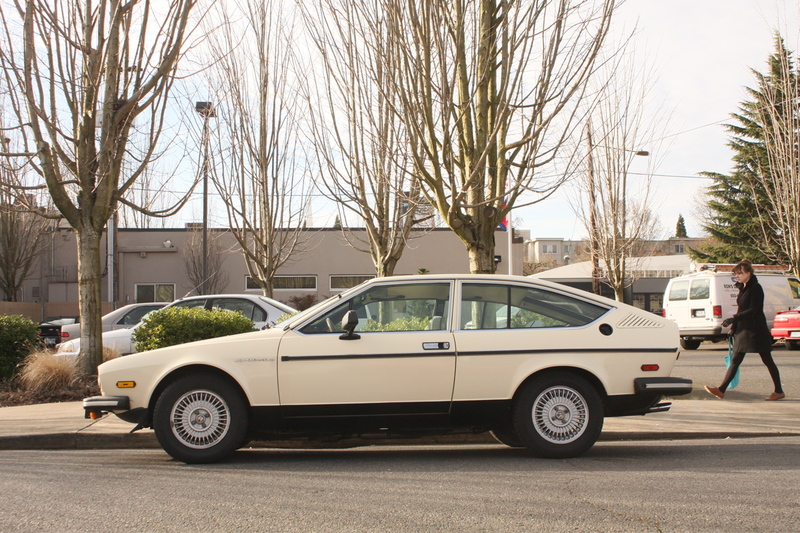 1978 Alfa Romeo Alfetta GT. I'd love to have this car. That greenhouse is big enough to make it a rolling botanical conservatory. 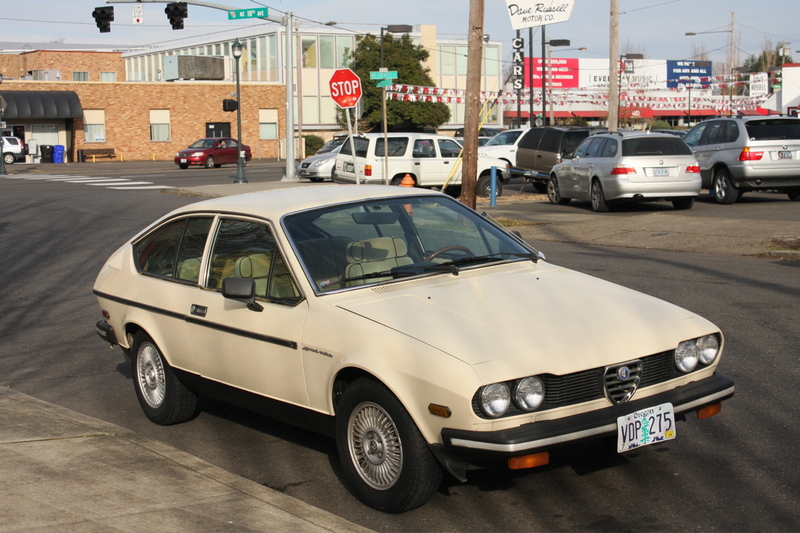 Well, this is just a really pretty old alfa. I remember when these things were rolling new. They were cool then and they're even cooler now. This thing looks pretty sweet. Good eye on 'ya, Tony. Way to go. Wow, it's MINT. Looks like it just rolled off the showroom floor. As said by Anon1, the greenhouses on these are crazy. My older brother currently owns this car and, it's currently my daily driver. :) Currently in the Tigard/ Beaverton, Oregon area. 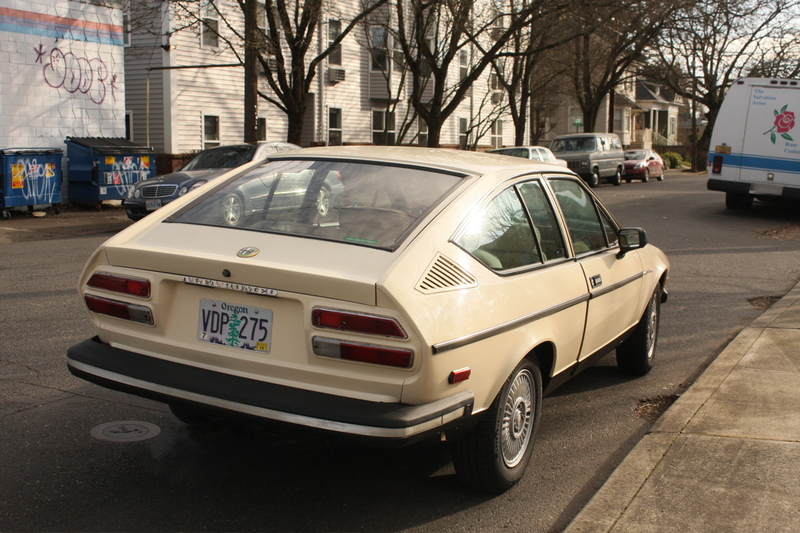 Owned a 1981 GTV as a soldier in Germany. Nice Autobahn runner, unfortunately Euro version so prohibitive to bring it back to the states.